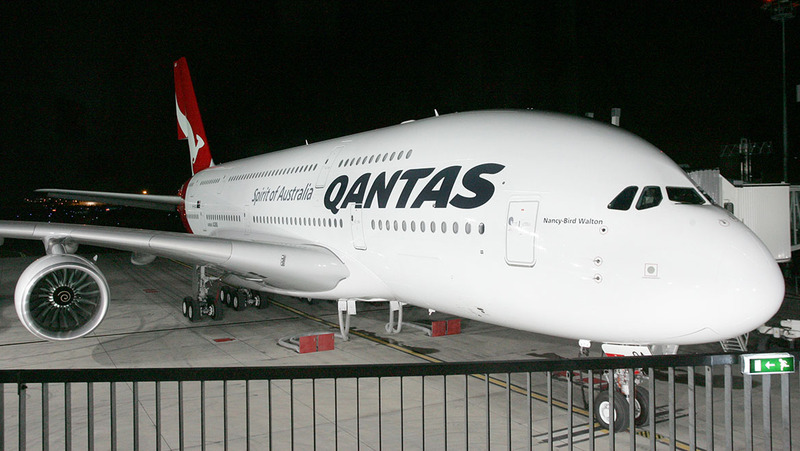 To mark the 10th anniversary of the delivery of the first Qantas A380 Nancy-Bird Walton in September 2008, today’s Throwback Thursday (TBT) features are republished from our November 2008 issue’s indepth coverage of the arrival of the first of the Flying Kangaroo’s super jumbos. They throw in a free load of fuel when you buy an Airbus A380. But when the largest aircraft in commercial aviation costs north of $300 million each, that’s probably the least that manufacturer Airbus could do. So with 254 tonnes of fuel in its tanks VH-OQA Nancy-Bird Walton had a hefty 562 tonne takeoff weight, despite having only around 70 passengers and crew onboard, for its historic delivery flight to Australia. As flight QF6008, VH-OQA departed Toulouse at 12.22am on Saturday September 20 bound for Sydney via Singapore, marking both the start of the Qantas A380 era, and the culmination of almost eight years’ of planning and preparation since the airline’s initial November 2000 order for this behemoth airliner. Those eight years have certainly been used to best advantage, both by Qantas and Airbus, with VH-OQA’s acceptance process and delivery flight near faultless, auguring well for the A380’s in-service career, while the Qantas pilot training system has been ramping up to crew the aircraft. Prior to delivery, an airline will begin its acceptance process once the new aircraft has passed all of the manufacturer’s own production tests. The airline will then subject the aircraft to ground static, visual external and engine run tests, before the customer acceptance flight is conducted. “There’s two sides to the delivery,” explained Peter O’Donohue, Qantas’s senior technical representative, based in Toulouse. “There’s the systems checks, what’s called the customer acceptance module. This is basically a complete run through of the aircraft, which in our case is run by the technical pilot, who works with Airbus to check that all the flight control and back-up systems are in order. Every single fail-safe system is checked to make sure it all works as designed. “The other side is the external ground checks. We will do a physical check of the entire aircraft, we go over it, in it, around it, under it. We have done that throughout the entire production process, but we do that as a final check to make sure there aren’t any problems that are visual. “So after we have done the ground static checks and the visual inspection, we’ll then go to engine run,” O’Donohue said. Here, function, safety and performance testing of the engines is performed, and aircraft ground handling – brakes and wheels – validated. Once checks on the ground are complete, Qantas will then fly the aircraft on a customer acceptance test flight to verify the aircraft’s performance and systems. “The customer acceptance flight is normally a normal takeoff, a normal climb through to maximum altitude, then a descent back down to a medium level altitude for some air work, and then back for the approach and landing,” FO Pudney detailed. This is a very comprehensive flight, where everything from takeoff performance to landing gear retraction times, the fly-by-wire enabled flight envelope protection system, the APU, nav and comm systems are tested. The aircraft is depressurised to a cabin altitude of 14,000ft to verify that all emergency systems operate as they should, and Qantas even shuts down and relights, individually, each engine to ensure they can be re-started in flight. VH-OQA’s customer acceptance flight “was absolutely perfectly clean,” FO Pudney said. The flight took 3 hours 40 minutes, with Qantas typically expecting acceptance flights to take between three and five hours, depending on whether any exercises need to be reflown. Occasionally an element of an acceptance flight may need to be reflown, but these check flights are generally much shorter than a full acceptance flight, and may require as little as a single circuit to be flown, depending on what needs to be verified. FO Pudney flew VH-OQA’s acceptance flight with an Airbus test pilot and observed by two trainee acceptance pilots, while in the cabin Airbus and Qantas engineers ran their own checks on the cabin, including the inflight entertainment system, seats, galleys and the air conditioning systems. The acceptance flight completes the ‘discovery phase’ of the delivery process, which is followed by the ‘recovery phase’ to address any issues that may have been discovered. “This is culminated by technical acceptance of the aircraft, which is an Airbus procedure, which means the aircraft is in conformity with the specification and type certificate and that it has passed all its tests,” O’Donohue explained. 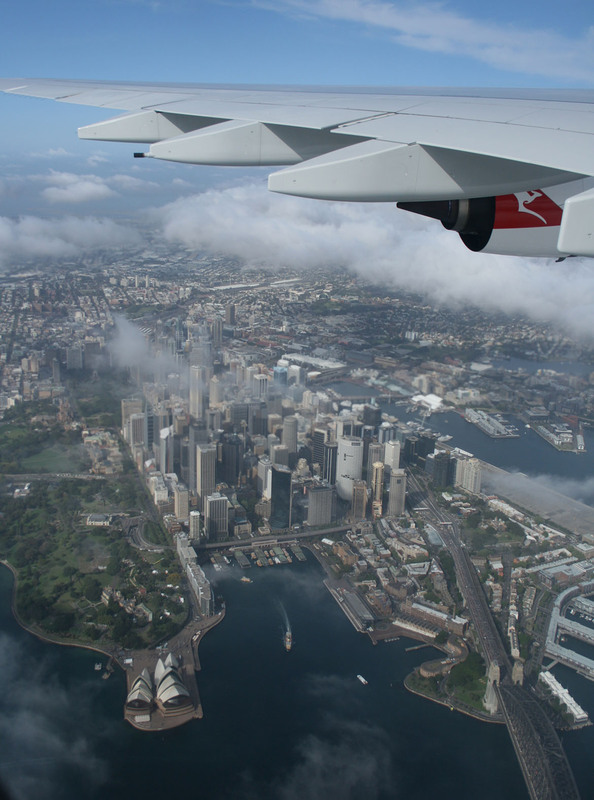 From there Qantas can apply for an ‘export survey’ for the aircraft, essentially its export certificate of airworthiness from EASA (the European aviation regulatory body), and commercial and legal ownership processes can be finalised. 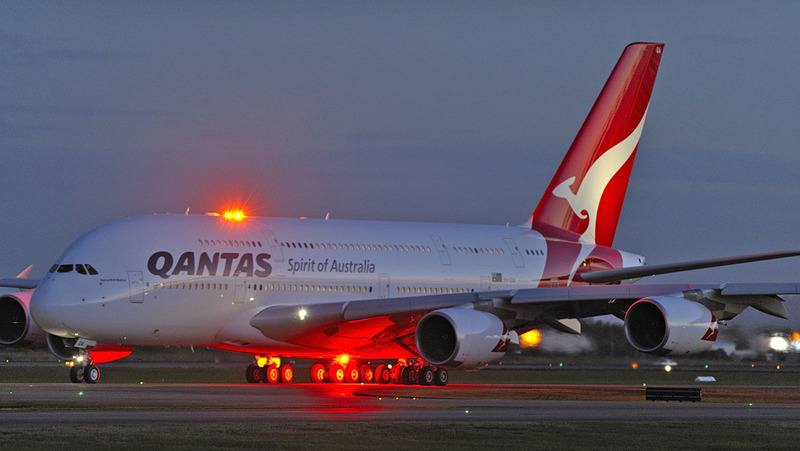 After technical acceptance Qantas can also begin loading the aircraft with Qantas specific software (which was validated in Airbus’s ‘iron bird’ A380 avionics and systems test rig) for items such as customised flight manuals and the electronic flightbag. “We test the aircraft as Airbus delivers it, and we check functionality of the systems and programs, but then we will configure those systems and programs for Qantas requirements,” said FO Pudney. Overall, the acceptance process for VH‑OQA was “very, very clean,” according to O’Donohue, and ran for about two weeks. With the acceptance process complete the delivery can go ahead, and it is during this flight that detailed aircraft performance measurements are recorded from the A380’s ACMS (aircraft condition monitoring system), to see how the aircraft performs against the contracted specification. This process occurs for every new aircraft delivery, not just first-of-types, and is very important in establishing baseline aircraft performance. “It’s useful to the company from two perspectives,” explained high performance engineer Peter Facey during the delivery flight. Via the aircraft’s ACMS or flight data acquisition and management system (FDAMS) – depending on type – Qantas captures performance parameters automatically once or twice every sector for each of its aircraft (datalinked back to Qantas maintenance via ACARS) to measure performance degradation over its service life. Parameters recorded include Mach number, weight, altitude, temperature, air pressure, engine fuel flow rates, gas temperatures and flows, and thrust settings. The honour of captaining the first leg of the flight from Toulouse fell to Captain Murray Crockett, Qantas’s general manager Airbus operations, with responsibility for the safe operations of the Qantas A330 and A380 fleets. “This is a really history making plane,” Captain Crockett told Australian Aviation during the delivery flight. A former 747-400 training captain, Crockett was general manager A330 operations before becoming Qantas’s A380 project pilot. With the two year delivery delays announced in 2006, he was seconded to Airbus for 15 months working within Airbus’s pilot training organisation, where he instructed on the A380 and worked within the flight test department and in flight operations support. 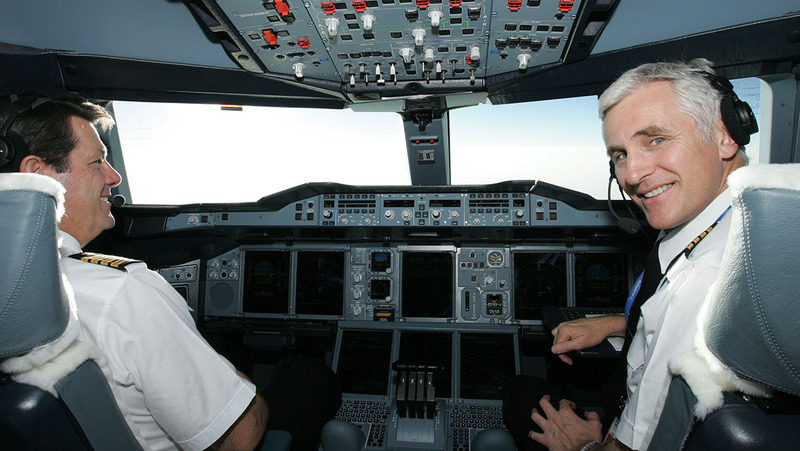 This background has left him particularly well qualified on the A380, with around 200 flying hours on type at the time of the delivery, including around 100 hours instructing (and 60 hours as one of the pilots on the A380’s 2007 ‘world tour’ to North and South America and Australia). 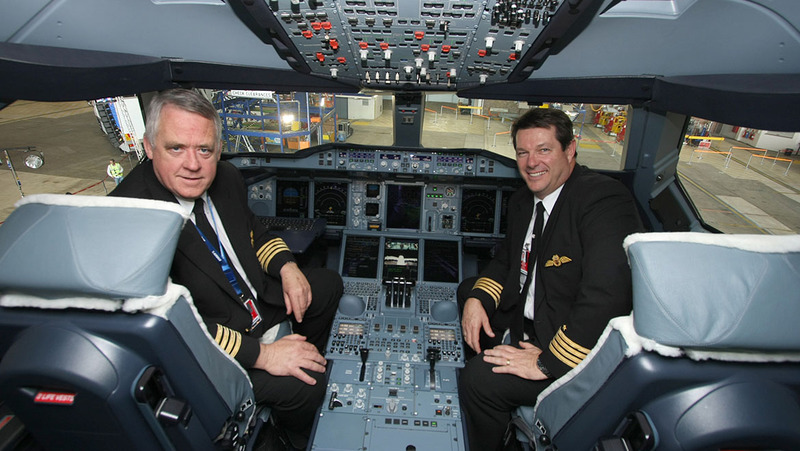 “I’ve been the only customer pilot who has worked within Airbus since the aircraft has been in production,” Captain Crockett, who recently replaced now Qantas chief pilot Captain Peter Wilson in the GM Airbus ops role, said. That insight includes a deep appreciation of the A380’s flight control software, which he says is largely responsible for the aircraft’s responsiveness and ease of flying. Crockett also praised the aircraft systems, noting that the aircraft is very complex but from a pilot’s perspective the operation of many systems is either very intuitive, or even transparent. As well as a conservative approach to crew training, for the delivery flight and subsequent ‘short-sector flying’ crew training/familiarisation flights, Qantas is being assisted by two Airbus A380 experts, Captain Frank Chapman, an experimental test pilot, and test flight engineer Pascal Verneau. That takes on more importance considering that the short-sector flying is not typical of A380 airline operations as the aircraft has been undertaking short duration flights with quick turn-arounds on the ground without engineering support. That short-sector flying is allowing the initial cadre of A380 pilots to build up the CASA mandated level of experience needed to operate the aircraft – eight sectors and 10 flight hours. Subsequent crews will need eight sectors and 25 flight hours, with that flying hours requirement easily accumulated on sectors to Los Angeles, with the bigger challenge being flying the requisite number of sectors. Originally Qantas was just going to train its A380 instructors in Toulouse, who would then complete conversions of line pilots once the aircraft had arrived in Sydney. 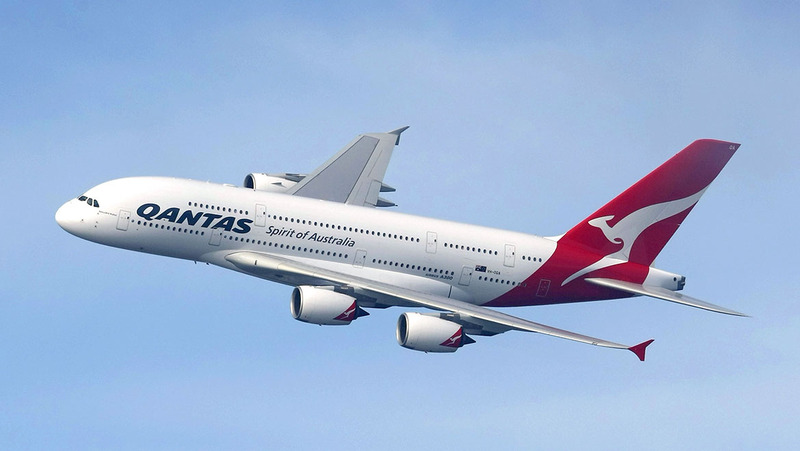 But with the planned August handover date pushed back into September, Qantas and Airbus came to an arrangement that Qantas crews could undertake short-sector training flights using an A380 development aircraft (usually MSN004) from Toulouse. 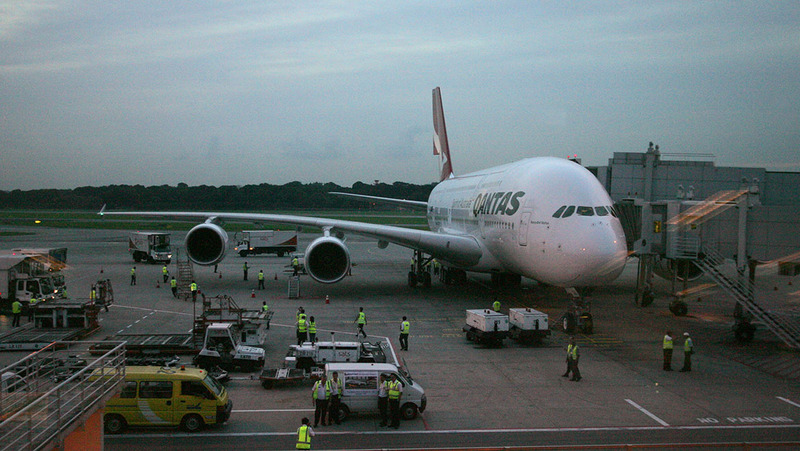 As Captain Crockett was employed by Airbus as an A380 instructor, he was one of the instructors Airbus supplied to train the Qantas crews from Toulouse. Perhaps the only challenge that its size presents is its near 80m wing span. As the pilots cannot see the wingtips from the flightdeck they need to be careful when taxiing near terminals and on constrained taxiways. But it is the wing’s span and its very efficient design that are critical enablers for the A380’s sparkling performance. “To me, the wing of this aeroplane, you won’t see anything better. Yes, it is a huge wing, both in span and wing area, with quite a low wing loading, but it’s the flap design, the spoiler design, everything about it has been well thought out and optimised.” Crockett described the wing as reaching a really effective balance between takeoff/climb performance, inflight performance, and handling characteristics. “This aeroplane can climb,” Captain Crockett related. That efficiency also extends to being able to use derated thrust settings for the engines on takeoff, even at max takeoff weight. Crockett works closely with Captain Peter Probert, Qantas’s A380 flight training manager, who captained QF6008’s second leg from Singapore to Sydney. “It’s one of the greatest experiences I’ve ever had in my life, flying the Qantas A380 down to Sydney,” Captain Probert told passengers and crew on QF6008. With that subsequent landing, Australian aviation history had been made, but a new era for Qantas had just begun. This article originally appeared in the November 2008 edition of Australian Aviation magazine. My wife and I flew with the A380 ” Nancy Bird” VH -OQA many years ago, we felt it was great very priviledge, as we had been great friends of Nancy’s in Sydney, as members of AHSA, another member and I were invited to her home for morning coffee. My wife and I met up with Nancy in England a long time ago, at a de-Havilland meet, we hadn’t told her we were going to be there, and her face was a ‘picture’, when we walked up behind her, with a ‘Hello Nancy’, what a wonderful woman she was, and starting her life in the aviation world, by cleaning ‘Kingsford Smith’s spark plugs, would have been very special.